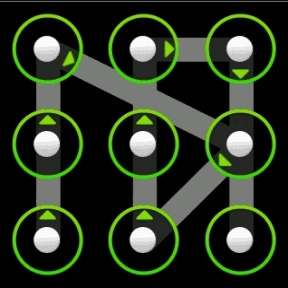 Break Android Pattern Lock With CMD [Easiest Way] in just few Min. Android comes with by default integrated pattern lock screen which plays an important role to secure from unauthorized person being accessing your private content. Sometime situation may be such that yourself has forgotten the pattern of lock screen. So now question comes how to bypass this lock when you have no knowledge of rooting the system. Here I will show you how to bypass pattern unlock screen to get access of your mobile. Check whether your Android device settings for "USB Debugging" is enabled or active. Home-Apps-Settings-Developers options-USB debugging-check the box to enable. Install necessary drivers of your phone mode and use native USB cable. 1. Plug-in your device to your PC using your USB cable (works on Windows, Mac and Linux). Make sure that you have an active pattern screen lock. 2. Open command prompt (CMD) from start menu. 3. Type in "adb shell" then hit enter. 4. Type "rm /data/system/gesture.key" then hit enter. 5. After completion of process, you need to "Reboot" your Android device. Do not unplug the device from machine! 6. After successfully booting up the device, unplug it from machine. Done, now setup the new lock pattern. Comment Below , If you want any further help ! We are Here To solve your issue asap !